Get a MasterCard Credit Card on Your Own Terms and Credit Limit in Seconds! Most Pakistanis are by default not qualified to get a credit card in Pakistan. They (read: banks) tell the commoners that an individual must have a salaried job, a sizable income, an office address, a verifiable home address and what not to get a credit card. Pakistan is full of freelancers, small business owners and people located in places where TCS or bank verification teams can not reach, and all of them can only dream about having a credit card despite having legitimate use for it. And this is exactly why the credit card penetration in Pakistan stands at a pathetic 0.01%. Easypaisa is now allowing its mobile app users to create MasterCard credit cards within seconds. You just go to the Easypaisa Mobile App -> Click on Credit Cards -> Select your Validity Date, Spending Limit and that is it. You will get a credit card in less than 10 seconds which you can use anywhere online, On AliExpress, Daraz or with Careem. This virtual credit card can be used for any sort of transaction online or offline (where physical cards are not required for swiping) and payment will be made from your Easypaisa account. While its real-life usages are endless, Easypaisa has made the product immensely useful; check its below features. Technically and by definition, the above solution is a prepaid virtual debit card. We used the word credit card because it can be used online. Considering that a lot of Pakistanis who think that basic difference between debit and credit card (other than prepaid and postpaid) is that credit cards can be used online while debit cards can’t. Just to clear some air, this is a MasterCard and Easypaisa Powered Virtual Debit Card. For this you need to have an Easypaisa account, a limitation that can be overcome very easily. Simply get an account and install its mobile app. Once you have an Easypaisa account and mobile app installed, you will get below screen. It tells you the account balance, options to do various operations etc on the home screen. At the bottom right, there’s a button “Virtual Card”, click on it. Here you select the expiry or the validity of your card. Once selected, click “Next”. Here you select the spending limit of your choice. So for instance if you want to use this card for Netflix payments, you can set your limit at Rs. 1,000 per month to make sure that nothing is deducted beyond your expectation. Select your limit and click “next” to get your card up and ready for usage over internet. You can flip the card to see CCV code. There are “Pause” and “Deactivate/Delete” buttons available on the card that you can use to temporarily deactivate your card or to permanently delete them. Note: Due to security reasons, the app does not allow users to take screenshots. Wow! that’s a good news. Whether debit or credit. But the writer should have told the currency conversion rate which easypaisa will charge. I mean how much PKR for 1 US$ and what about other currencies? Euro & GBP. They will give tough time when it’s matter of transaction reversal. Let’s suppose one is making an online transaction a day or two before expiry of his card and the transaction was unsuccessful like it happens mostly and your amount is already deducted. Now how will get reversed when your card will already be expired as sometimes reversal can take weeks. Sir agar expire na bhi hua ho card phir bhi I doubt ke reverse honge paise. Mere MCB Lite card (which works like a debit card) par tu kabhi reverse nahi hui charges. Shayad debit main yeh feature hi na ho amount reversal ka, only one with more working knowledge of banking can confirm this. Thats great to know thanks for sharing, if I am not mistaking UBL Visa Wallet Card is more or less like MCB Lite Card right? You don’t need any account or anything just buy it add money and start using it right? Dear, amount automatically reverse in mcb lite within few days but if it doesn’t then you have to go to mcb branch and fill up the dispute form and give them. Then it will take more time to get the amount reversed. How to put money into this Easypaisa Mastercard? I don’t have any Bank account. bhaye istemal to kr lo isey.. ab to VCC b brey sastey milein ge..
Istimal kahan karien jab yeh work hi nahi karay ga tou? I tried to add it on Uber but it’s not working. People are already complaining that it’s not working on Google play etc. So istimal kahan karien? Chunu Mian ki kiryana shop pe? Ya Gujjar Dairy Milk shop pe? The the card is linked to your account the reversal money will be sent to your account even if the card is deleted or expired. Same happens with physical cards, even if expired money can go into the account of your bank. 1 US$ comes to around Pkr 108 ~ 109 for online international transactions, and in case they are reversed the amount is lesser like between Pkr 100 ~ 101. Option to pay via QR code? Its not a CREDIT card..its a DEBIT card !!! Debit cards allow bank customers to spend money by drawing on funds that they deposited with the card provider. Credit cards allow consumers to borrow money from the card issuer up to a certain limit in order to purchase items or withdraw cash. So, in addition to being a VIRTUAL DEBIT CARD (VDC), it is technically a VIRTUAL CREDIT CARD (VCC) too because the loans it manages to get are through your own Easypaisa Account (which otherwise would have been a bank). And since a Credit Card is superior to a Debit Card because of more convenience that it has to offer and also since this one is not a physical/actual card that you can swipe when needed, it’s termed as a VIRTUAL CREDIT CARD (VCC) of MasterCard (Company) . A REVOLUTION IN NATIONAL/INTERNATIONAL ECOMMERCE IN PAKISTAN! You tried but failed. It indeed is a debit card. for extent, it’s a prepaid card. If you don’t have funds in your Easypaisa account, your virtual card will fail to make transactions. That prevents it to be called as a Credit Card. Read your definition of both the Debit Card and the Credit Card more carefully. Yeh debit card hai, kyu k yeh paisay aap ke apnay use ho rahay not as credit from bank. Its a virtual prepaid card..
yea Propakistani is trying to fool everyone by saying credit card. Even easy Paisa says its debit card. Even the pictures provided here says debit. well, it is good but the unlimited card creation may lead to problems. We will see!! 2 cards at a time can be created. 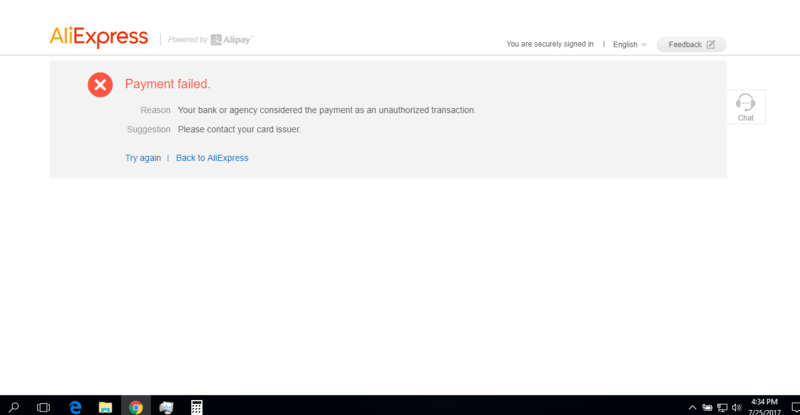 Well good for those who want online shopping from Aliexpress etc but do not hold a credit card. But in reality it is a virtual debit card only. Thats Great gonna get easypaisa account today! the best part is no currency conversion charges .. There are conversation or some other charges. I was charged 1.49Rs for a 0.20USD payment. Kahan gayab hain huzoor? Panama k hungamay main uljh gaye hain kia aap bhi? yahin hain janab, bas click-baits par comments kia karna. Aamir bhai apni marzi se chala rahe hain ab ProPK ko aur hum khamosh tamashahi hain bas. Aap sunao all good? Yes all fine, thanks. Baki Aamir Atta is soon to dare Malik Riyaz and Mian Mansha with such click baits. Normal charges will apple along with 2%. There is a difference between Credit card and Debit card. Not all websites accept debit or prepaid cards. Author should correct this mistake. They changed the industry today. This is what we call innovation. We do really this type of services. It’s debit but it can be used Online. Couldn’t add it to Careem, and it is a debit card. neither could add to Uber. Then it’s useless. Though Careem accepts debit and prepaid cards but uber only accepts credit cards. So if it can’t be used for these services. It is almost useless then. WOW. Great Service. FYI It’s Debit Card not Credit Card. clapping for propakistani for getting the headline of the article wrong…it’s a debit card not a credit card…know the difference between debit and credit? Doesn’t sound like it’s a Credit Card if the money is deducted from the Easy Paisa account. Sounds like it works more like a Debit Card. This is a DEBIT Card AMIR BHAI.. please clear your facts :P MasterCards are not only credit cards.. Debit Master Cards are there too :P .. Yes you are right, or we can call it a Prepaid MasterCard but not the Credit card. There is an element click-bait again in the title. What are additional costs involved? Is there an easy way to load funds in your easy paisa account? I mean without visiting a retailer? Can we transfer in it from one of our existing accounts? I think there is a way as far as I remember you have to send money to tameer bank account. I am not sure of the details but telenor helpline can helpful in this regard. Yes you are right, your mobile number is your tameer bank account number. You can send money to it and it will be added to your easy paisa account. Yes there is. You can IBFT funds from any Bank Account directly to your Easypaisa Account. Simply select Tameer Bank/Telenor Bank as your destination Bank and your Easypaisa Account Number (Your Phone Number) as your Destination Account number. I am using Meezan bank, and unfortunately there is no option of Tameer bank/Telenor bank list of beneficiary accounts for me. Is there any deduction on deposits? No, only bank transfer fee and any applicable tax. Sir if you go through all the comments people have added screenshots from easypaisa app which states that initial 10 deposits are free and afterwards they would charge 2.5%. You can transfer funds using your existing online banking accounts. It should be launch online & mobile *786# option too. Would we be only charged the amount we will be spending or there will be any hidden charges like transaction charges and other taxes or anything? If there is any it should be mentioned here. No hidden charges. Only the transaction amount is deducted from your Easypaisa Account. Nothing on top. (The Amount is converted to PKR if you shopped in any other currency). And even after currency conversion, this would be the cheapest Debit Card to shop online! Thats good to hear, one more thing when you recharge your easypasy account. Lets say I am depositing 10k into my account would I get the whole amount in my account like any other bank accounts or there is any deduction with that? You will get whole of the amount, I have deposited many times. 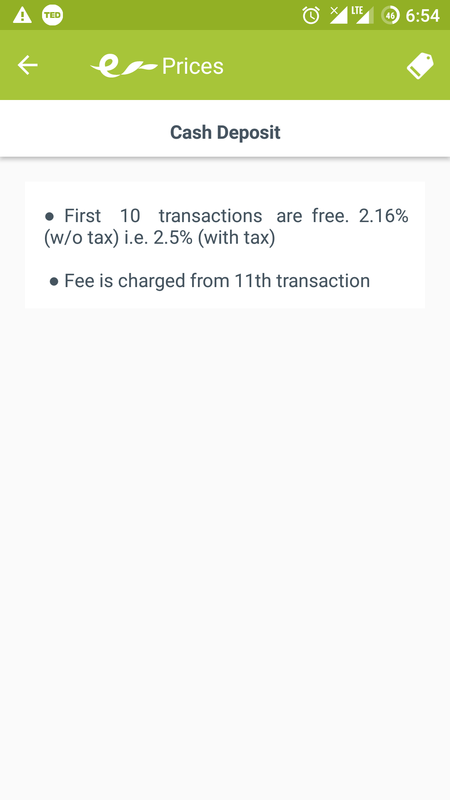 Deposit is not free actually, the easypaisa app says that only first 10 deposits are free, then there is deduction of 2.5% from 11th deposit. That is really bad! What, are you sure. Why is that? Why are they deducting 2.5% for depositing. That’s really strange why should one pay 2.5% on depositing? Dost yeh tu koi solution na hua na. Why are they charging this 2.5% on 11th transaction and onwards. bhai jan ghor se prho. 2.16% will be charged EXCLUDING TAX on first 10 deposits. 2.50% with be charged INCLUDING TAX onwards 11th deposits. 0.36% ka hi bus firk pre ga, 2.5% ka nhi. It’s bad because they are earning revenues from a service they provide? Lol. They earn a lot just by keeping your money and investing it wherever they like, they need not to play this foul, there are banks all over the world which neither charge on deposits nor on card transactions. Please note that only Cash Deposits and Withdrawals are charged. Funds transfer from a bank account to your Easypaisa Mobile Account are not charged. You will be charged if you transfer from a bank other than Tameer bank. If this is the case, then it is a good deal indeed! What will be currency conversion rate? Exactly thats what I want to know too, lets say open market main dollar agar 105 ka hai tu yeh log kitne rs main convert karainge. Why not test it online and let us know here? ap to ameer ho testing kar sakhte ho kiyon? how can i recharge my easypaisa account via hbl online baking and what are the charges for it? You can send funds to tameer bank account. Your mobile number is your tameer bank account number. I guess the charges would be only the transaction charges you will be charged by HBL. and what about if i topup via shop? if i recharge RS100 how much actual amount will be in my account? jasy 100 k load per tax hai mobile topup per kia asy he es per b hai? Nahi Iss Me Jtna Load Kro Gy Exact Amount Aye Gi Apky Account Me. is this work without having telenor sim? Yes but you can’t use the short code i.e *786#. You have an alternative for that. Yes. You don’t need to have a Telenor SIM to open or use an Easypaisa Account any more. You can download the Easypaisa App from the App Store (http://tinyurl.com/y7pfsdhm) and register your free Easypaisa Account today! Are u an employee of easypaisa? Yes but only through the App. Can we use this card for bing and facebook ads? If they accept MasterCard online payments, sure you can. Could anybody make the card work? I tried it both on Careem and Uber and it didn’t work despite having sufficient funds. It’s not working on Uber, but did work on Careem. So please don’t mislead people by false claims. Not just with me but with other people too it didn’t work on Uber. Instead of taking photos from phone via another camera, should’ve taken screenshots! Account creation on iPhone isnt working. WARNING: Only first ten deposits to your easypaisa account are free, 2.5% will be deducted from 11th deposit. In charges ka kahin zikar nahi upar post main, if thats true then ProPK have again played its part in fooling all of us again. First they get us to this link saying its a credit card, only when you are here you get to know that its not credit card but a virtual debit card instead. And even then these charges are hidden and not shown anywhere in the article. Easypaisa itself is saying virtual debit card. But here they changed its gender by themselves. And what is this drama of 11th transaction charges? Dayan bhi saath ghar choor deti hai woh kahani tou nahi? This 11th transaction thing is said by a user ‘Saqib’ here on ProPK comments sectoin. There is no one yet to confirm officially here. Nor any word from Aamir (which isn’t expected anyways), there was one guy named ‘Omar’ answering all queries few hours earlier. I guess he is not around right now or keeping silence on the hidden stuffs. Only time and testing will tell! This 11th transaction charges is right but i guess that’s for depositing the cash in your easypaisa account in a month or so. All virtual card related transactions are free, for life. Depositing funds into easypaisa could be charged depending on how you are recharging it. Thanks for reverting, so they are not charging anything per transaction when spending it but actually doing it when depositing, it would have been great if this was mentioned in article too. Anyways where can we see more details on charges on depositing funds. Sir if you deposit cash then there are charges, if you transfer funds online from tameer then it’s free. Their charges schedule should be available online. So in other words one needs a Tameer account for free deposits, right? So I deposit funds from standard chartered and receive exactly same funds in easypaisa. But I do pay a fee to standard chartered. You can call helpline to be sure about any charges associated with this. hmm SCB charging for transaction tu samajh ata hai woh tu har inter bank transfer main har bank charge karta hai. But amount wohi transfer hoti hai jo aapne transfer ki ho. Khair thanks for all the info you have provided. And if we are transferring from any other bank then will they deduct any amount from the deposit? Or we need to have tammer bank account in order to deposit free? If you’re so curious to persistently ask, might as well visit easypaisa website. It has everything! Every single detail is mentioned on easypaisa website. Every little detail. Care to visit before further comments? Any other way to deposit which is free for every transaction? Most pertinent question is what will be currency conversion rate? Which is nowhere mentioned in the article. And if they charge on cash depositing in your account it means they are charging us either way and that too at source. Currency conversion rate is awesome. I just ordered a 0.71$ item and 76PKR were deducted from my account. I think thats exactly the market rate of USD. I usually shop using my international MasterCard and that is more costly than this Virtual MasterCard. If we use it on facebook ads will it work like a creditcard or we need to add payments in advance into the ad account? Its not a credit card and even its FUNCTION online is not same. It is denied on various places which only accepts real credit cards not debit or prepaid cards. Example, try using it on Origin subscription service (denied and it specifically mentions that only credit cards are accepted). Hahaha good title and the whole story in one title. I was charged 1.49Rs for a 0.20USD transaction on AliExpress. 2-4Rs expensive per USD compared to banks Visa cards, includes conversion charges. Update: In my last two orders, Easypaisa card is not deducting any extra money. If one usd is equal 107.5Rs, they will charge only 107.5Rs. did you successfully ordered from Aliexpress using this? Great.. but Easypaisa are deducting extra amount with it. Yet those liars are claiming to charge lowest rates in the market. I have been charged 76 Rupees for 0.71USD. I think thats probably the ideal conversion rate. Bro, this is happening to me when Purchasing from aliexpress. I bought Netflix membership with no problem, Can you tell me what and why this problem is occurring. No idea bro, contact EasyPaisa helpline. I dont think its even near to a Credit Card. How many merchants support and accept such kind of payments..? How would u swap this kind of Virtual Credit Card..? Credit Cards also facilitates on offers like 15% off on purchase of electronics, 5% on fuel, cashback, points and miles. Every bank is offering their own set of features and I dont see any here. Whats da purpose here, its not even comparable to a Debit Card. Its something new and should be promoted as a New Product. And without any special features and discounts its useless, a more headache one has to carry with him/her. I created a virtual card through easypaisa app, and then added it in play store. However when I try to purchase an app, the card is declined. Customer service representative is not aware of online shopping or virtual card at all. Their Customer service representatives hardly know their own name and they simply know nothing. When the card was declined as u said it, does the amount deducted from ur easypaisa account? Facing the same issue. Google Play says card is declined. Any solution to this issue? Not again. “Credit Card” in title just to derive traffic? Not only in the title but read the beginning of article and it says though it’s almost impossible to get a credit card in Pakistan for the non-salaried persons and even the statistics are given “0.01” percent. But now after this article the whole scenario will dramatically change. I salute them for testing readers intellectual. So can I use this “virtual debit card” for buying games on steam ? Yes. Steam, PSN and Nintendo eStore. Wat abt GOG? can I use this to buy games from GOG? Yes, works on any site that supports Mastercard. To clarify you can’t make unlimited master cards as mentioned in the article, the limit is 2 ! Ley! seriously, matlab ke sara kuch jo article main likha hai sab hawa main teer chalae hue hain? Are you sure, though I have no faith on most of the authors on ProPK these days but this one is written by Aamir Atta him self and I doubt that he will make this blunder. You can make unlimited cards with maximum limit of 2 at a time. Deactivate one and create another one. Sir, it was not mentioned in article earlier. All I read was it had unlimited cards. I just check the article again and you have added it now or was it there from start? Above all their app is buggy, if you log out once and try to re login. You can’t and it gives an error “can not proceed. Link is down.. Dismiss”. So one can re login after waiting for hours. Anyone else getting the same error? You have to force close the app then open it again and it works. Close the app, open it again, it works! You can activate online shopping with most Pakistani debit cards, you just have to call your bank’s helpline and ask them to activate e-commerce. It is restricted due to low penetration of credit/debit cards in Pakistan people tend to borrow others’ cards for shopping if a debit/credit card is needed. Since debit cards don’t provide fraud protection of any kind so it is a security measure that only the person with physical possession of the card would be able to make transactions with the card and if by getting e-commerce access activated on your card you agree that you are solely responsible for any transaction. Debit or credit card, whatever it is, it is a huge step forward. I was not expecting a progress like this in 100 year in future in Pakistan. It was such a huge problem for me and my friends to pay university admission fees in past. Bank guys are complete dicks. Congrats EasyPaisa! I am so happy that I already have an EasyPaisa account. A credit card is when you pay at the end of the month. A debit card is that you must have the money in your account to pay. Not that much of a challenge. I think the headline ought to be changed to reflect this realization.. and you could have used this opportunity to educate the public. Kia ye goolge adword, bing ya facebook campaign me use ho skta he? This one is the really big news for freelancers..